For the end user, the builder or even the homeowner the onset of new growth softwood was insidious. As a contractor that worked in the building industry since 1978, I used just about every wood there was on the planet. I worked in new construction in my early years and little did I know that the industry was going through the old growth wood in the 1980's. I had no knowledge of the lumber industry and still don't know so much about how wood is brought to the marketplace. Is is however through the handling, cutting, nailing and working of raw wood products that I came to know the products from and end use perspective. It wasn't until around the turn of this century that I began to look back upon the dates and relative condition of primarily softwoods like pine, fir and especially cedar. I looked back by inspecting thousands of structures in my line of work. I noticed the change first in cedar roofing. I began to see cedar roofs aged a mere dozen years that were totally shot. Then the early failure of cedar sidings became clearly evident at about 15 years of service. I began to wonder why my own jobs that I installed myself were failing. 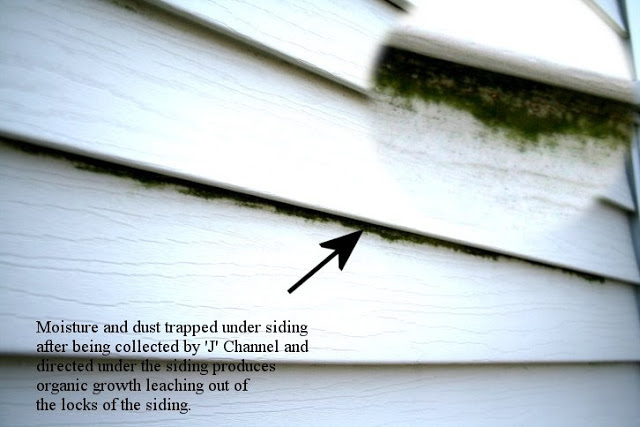 The wood siding jobs done after 1986 – 87 were toast! I could put my finger through through them! 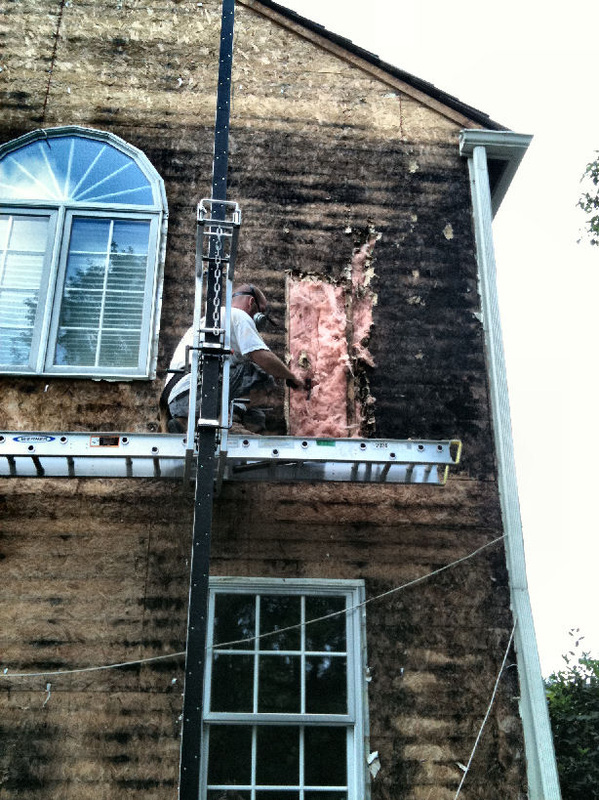 I visited many hundreds of cedar siding jobs as an estimator to find the same condition. It was so clear to me that the date in time was '86 – '87 when something had occurred at the source of the products. I had to do it. I had to visit my older work to prove to myself that the wood of the late '80's was flawed. What I found was that earlier installations were holding up very well and like they should. The wood was good. The wood was excellent. In seeing plenty of clients over the years, I could literally inspect a home with wood siding that was crumbling and know the age of the home built after the late '80's. Now to the really telling and troubling matters regarding the structures. It seems that a change also occurred in the builder's cladding of choice in the sidings they used around that same time. Builders started using plastics. 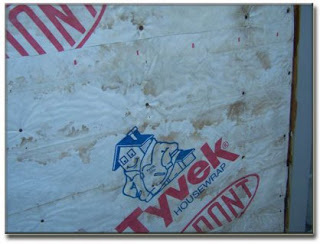 These products necessitated the use of 'J' channels that funnel water behind the cladding and onto the walls beneath it. I did a lot of siding in my day and the new growth cedar was leaking and the plastic was leaking and we tore off a lot of jobs. It seems that sometime in the same era when the cedar siding and roofing went to new growth, so did the framing lumber. At the places where water had gotten in the framing was destroyed beyond what one would expect. The framing was rotting at an extremely faster rate than what was the norm a couple of decades before. The same scenario followed with the dating of lumber by failure rates. Something is going on with the new growth lumber. Looking at the stock lumber at the point of sale, the end grains are clearly telling of a product that is less dense and with less growth rings. Quality has dropped considerably and the wood products rot very quickly. Inquiries at lumber yards were met with anything from puzzling looks to denial to near violent rebuke. Still receiving requests for natural products, I would ask if I could get old growth wood. I never got an answer. The subject is clouded in mystery. Even lumber representatives either do not know of aren't telling. Take cedar for instance. When you buy cedar all you have is the label that guarantees it is from a “Managed Forrest.” What? That is a guarantee that means what? On really old homes (and I do mean old like the 1700's) wood does not decay like the homes of the new age. Any wood rots if sitting in water like that in a failed built-in gutter for instance. The difference however is astounding. Take an old 300 year old home where there is no paint and active leaks and no rot to speak of and you see the difference. The settlers cut down big old trees to build their homes. Many of these structures are still standing as strong as they were. It is like the food we are eating now known to be “GMO” (genetically modified organisms). Now we have GMO lumber. Ick! What do you think is going on behind that siding? 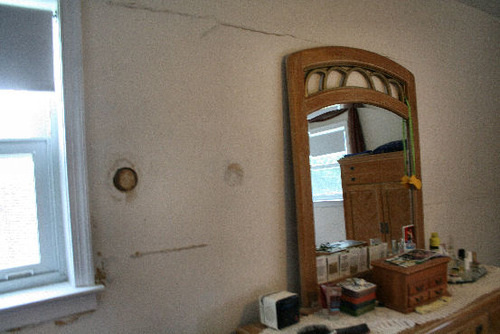 If your home is built after 1986, you better make sure that there are no leaks. The wood will rot out very quickly if it is New Growth.